Recently, scientists from PWSSC and Florida International University conducted a cruise to test the ability of using imaging sonar and camera systems attached to a remotely operated vehicle (ROV) to find juvenile herring under ice. On previous cruises there were observations of juvenile herring congregations along the ice edge. Since it is not possible to survey under the ice using our traditional methods we turned to two new technologies for us, the ROV and DIDSON imaging sonar. 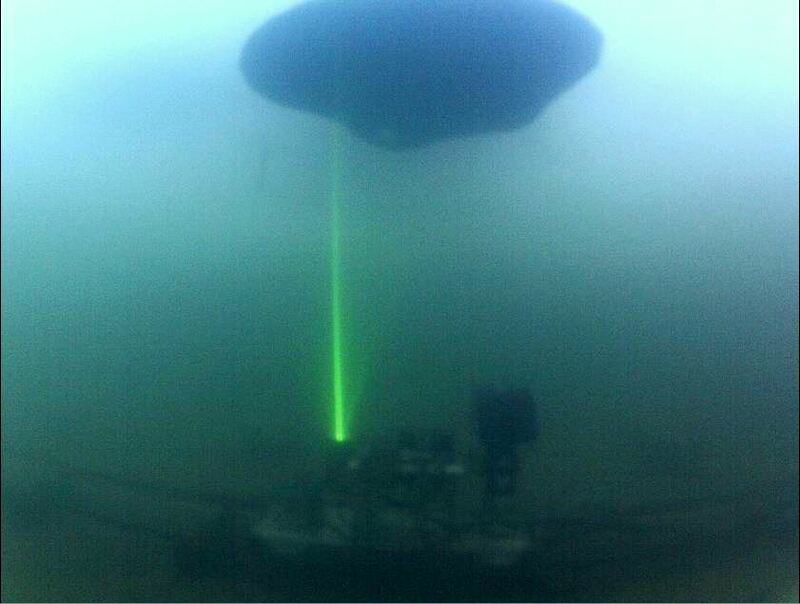 The ROV allowed us to get our sensors under the ice. The DIDSON provided the ability to measure the size of the fish. When the DIDSON data is combined with images from the camera it allows us to determine the size of schools, the size of fish in the schools, and the species of fish being observed. During the day, the fish tended to avoid the ROV, although they could be observed in the DIDSON. At night, the lights of the cameras attracted juvenile herring and it was easier to get close enough to obtain imagery of the fish. 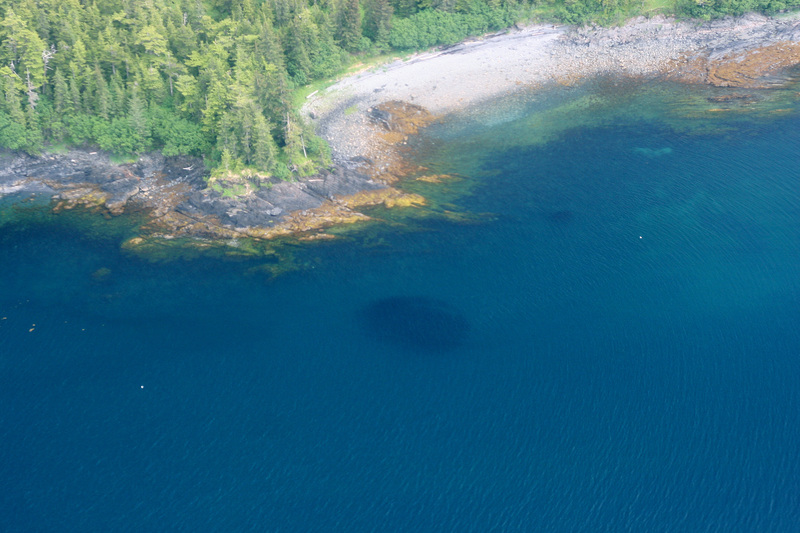 The tests were conducted in Beartrap and Simpson Bays. In Beartrap, shrimp were observed coming up to the ice early in the evening and were replaced by herring in the morning. In Simpson, there were more herring of what appears to be two age classes that were near the ice edge. This tool demonstrated that herring are collecting under the ice─we assume to reduce the predation pressure by birds, which also allows them to feed higher in the water column. 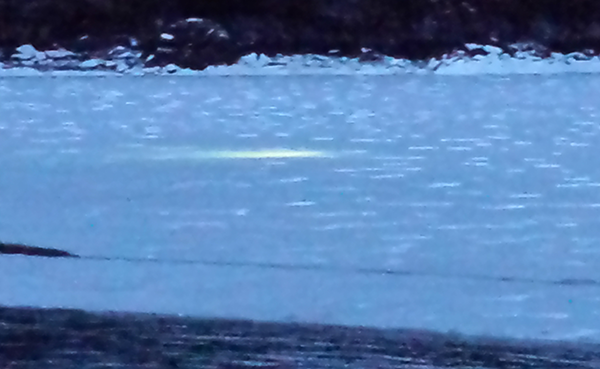 The ROV lights can be seen through the ice as it searches for juvenile herring. 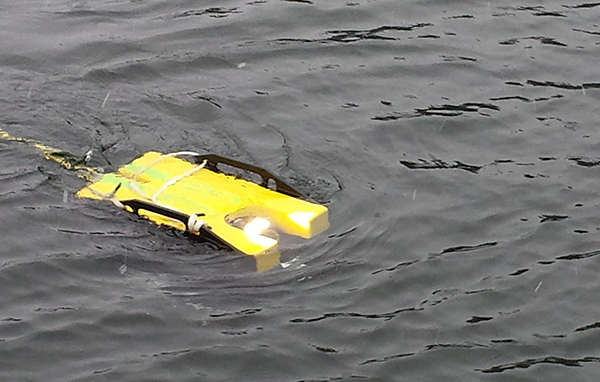 The ROV at the surface. 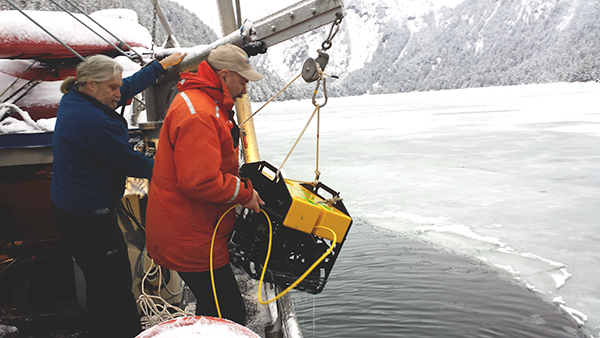 David Janka and Scott Pegau retrieve the ROV in Beartrap Bay after working with it under the ice.